You fry eggs in a pan. This isn't rocket science to understand. Don't eat the results. 72 hours, well more like 15-25 honestly. Paper.js, Photoshop and bits of twine provided by a friendly bird. 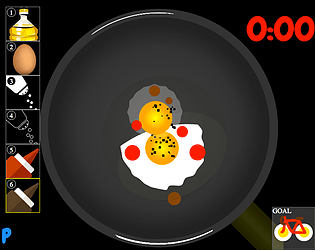 If you had told me that I'd like playing a fried egg simulator, I'd never have believed it. A clever interpretation of the theme.